April 13, 2015 January 14, 2018 Gary Gamblemovies, upcoming releases to watch out for . 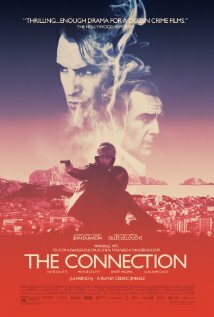 Part two of my new Top Ten Foreign Thrillers post. All of the films featured in this 3-part post are new releases or will be getting released really soon. For the first 3 films just check related articles at bottom of the page, or use the search bar. As we all know, Japan has mastered the art of releasing stuff that is so crazy, it takes a special kind of film lover to enjoy and truly appreciate their work. When I read the plot for this, it sort of reminded me a little bit of two Korean films that I love: Breathless, and Peita. Both of these movies are extremely bleak and some scenes are really uncomfortable to watch. Both the lead characters in those movies work as ruthless debt collectors and will inflict unspeakable acts of violence on you if you don’t pay up. This seems to be the case with new Japanese film Kiyamachi Daruma. The film is about an old Japanese Yakuza, who now works as a debt collector..only difference is, he has no arms or legs. Shigeo Katsuura once led the yakuza that dominated the town of Kiya. Due to an accident, he lost both his arms and legs. 5 years later, to make a living, he goes to debtors’ homes and collects money from the debtors. 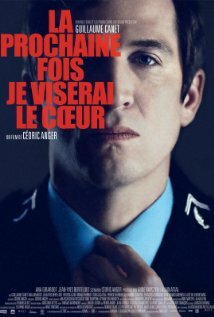 French thriller about a police magistrate spending his career trying to take down one of his cities biggest drug-rings. We all know how intense a good french cop thriller can get. They are usually gritty, dark, really well written and acted, and sometimes deliver a shocking punch and that’s what we have here with The Connection. In my opinion, I enjoy watching them because they don’t seem to follow the same pattern as a lot of cop/action movies. They are always more daring, and not watered down to suit younger audiences. New serial-killer thriller from France. I am really excited about this one as it’s been a while since I’ve seen a good disturbing French film. When I think about it, I haven’t seen that many French films that feature a serial-killer. I can think of one which is, Among The Living, which is a film from Inside directors Alexandre Bustillo & Julien Maury. The French have given us some of the best horror/thrillers in the last decade. Maybe it’s just me, but I think there has been a serious lack of awesomeness from that part of the world. Let’s hope, Next Time I’ll Aim For The Heart continues in that style. For several months during 1978-1979 inhabitants of Oise region live in fright and terror as a serial killer disturbs the peace and quiet.